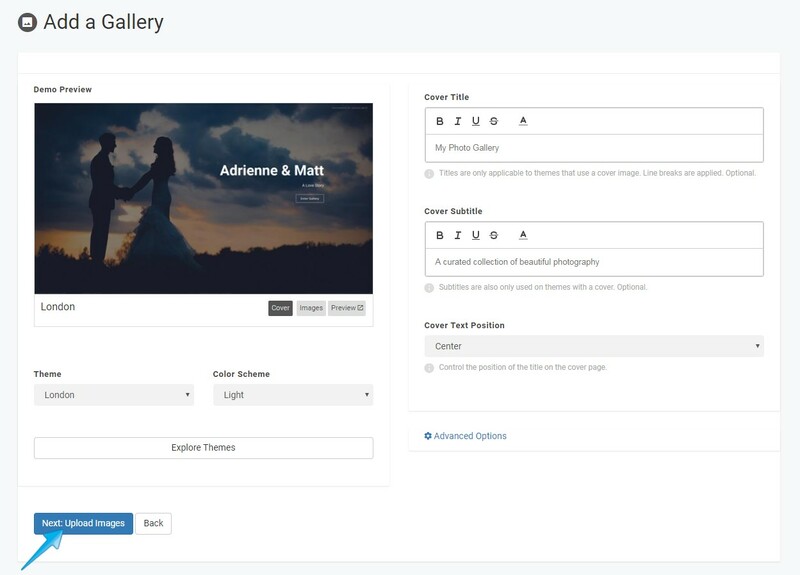 Give your Gallery a name and then click "Next: Choose Theme"
Once you click "Explore Themes" an new page will appear with a variety of Themes to choose from. 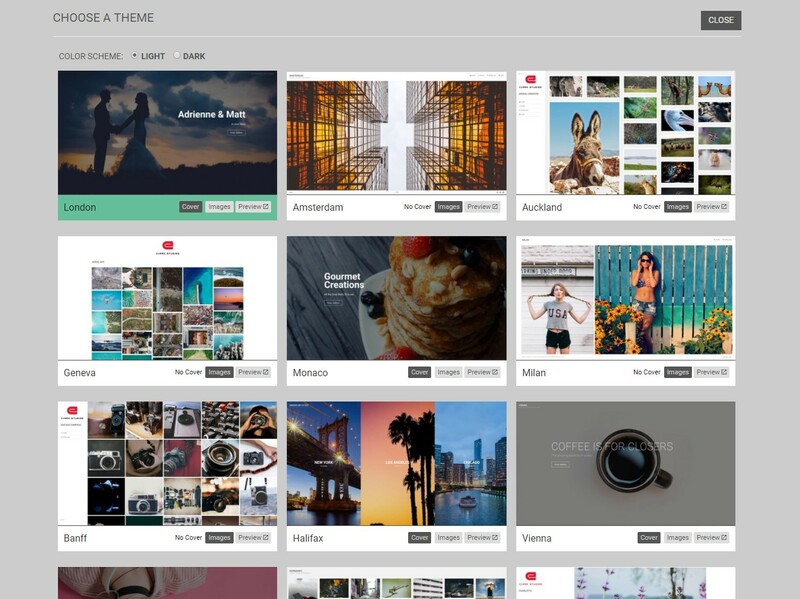 With each Theme you have the option to view the layout of the Images or Cover photo before making a selection. You also can select Preview to see the gallery in full screen. 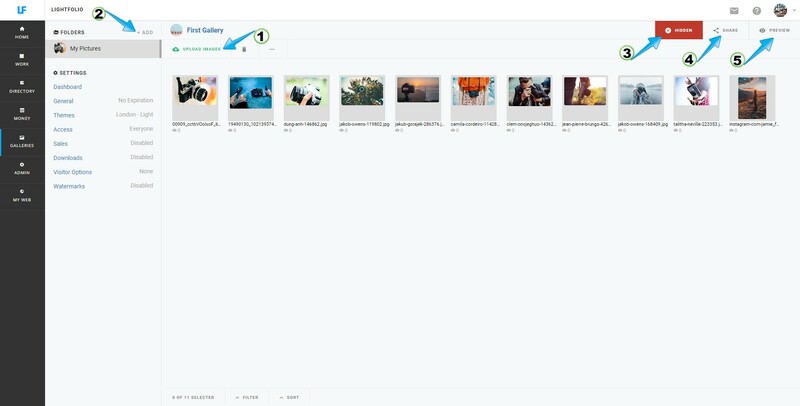 If you select this option a new screen will appear with the gallery. 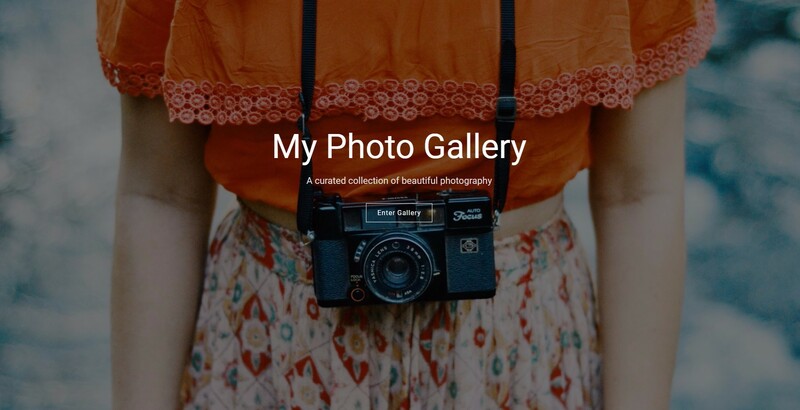 The layout of your gallery can be Light. Or it can be Dark. 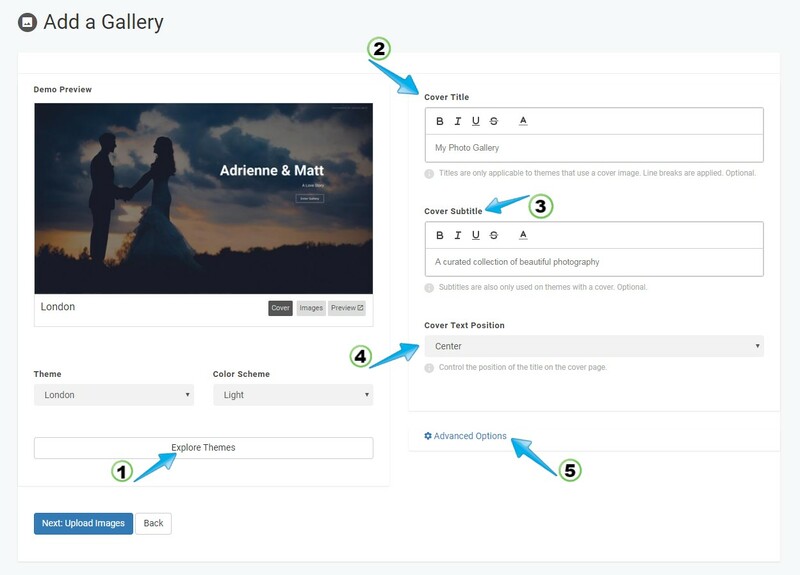 Once you decide which Theme you want for your Gallery, hover over the image click "Select"
After you have selected a Theme you can then select "Next: Upload Images"
Tip: Before uploading images be sure to select how many images you would like to upload concurrently. Basically, if you have slow internet speed select the drop down for 1 image at a time, or if you have fast internet speed select the drop down for 6 images at a time. This does not reflect the number of images you can select for uploading -- as many or as few as you would like. Select the files from your computer and click "open"
Select "Preview" on your Folder of Images page. You will then see your cover photo and below that your image layout. 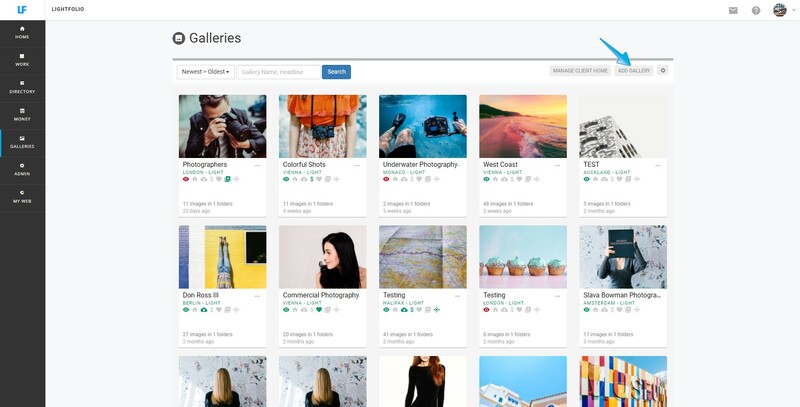 You've finished the steps to Creating a Gallery! 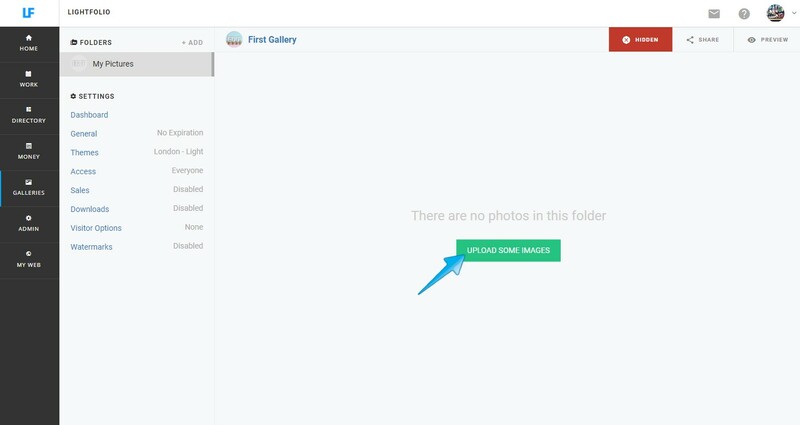 For a more detailed description on creating galleries click here.